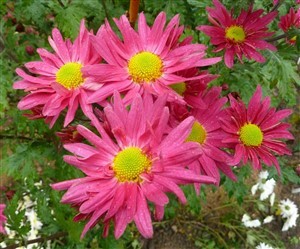 Chrysanthemum 'Uri' A really dark, rich pink single which flowers through November, with a great honey scent. Tough and clumps well. Very rare.